I attended this great concert by the Scottish National Orchestra. Such a pleasure to hear an 80 piece orchestra play the music of the great Hollywood composers of the past. 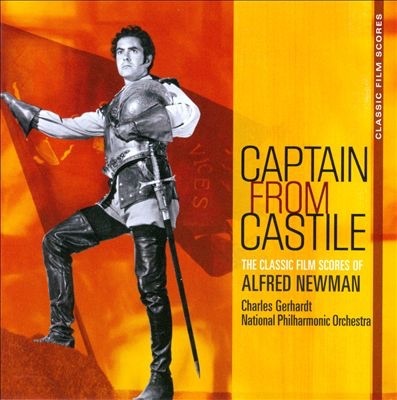 We were treated to Alfred Newman’s CAPTAIN FROM CASTILLE; Erich Wolfgang Korngold’s THE ADVENTURES OF ROBIN HOOD; Elmer Bernstein’s THE MAGNIFICENT SEVEN and TO KILL A MOCKINGBIRD (lovely contrast between these two); Bernard Herrmann’s NORTH BY NORTHWEST; Max Steiner‘s Tara’s Theme from GONE WITH THE WIND. American guest conductor, Richard Kaufman reminded us how the Hollywood studios embraced these great composers and how each of the big studios would have a 60 piece orchestra. “When a picture is finished and finally edited, it is turned over to me. then I time it. I have the film put through a special measuring machine and then a cue sheet is created which gives me the exact time, to a split second,in which action takes place, or a word is spoken. While the cue sheets are being made,I begin to work on themes for the different characters and scenes, but without regard to the required timing. After a round of applause, we were then informed that Mrs. Tiomkin ( now Douglas) had brought two of the Oscars Mr. Tiomkin had won! 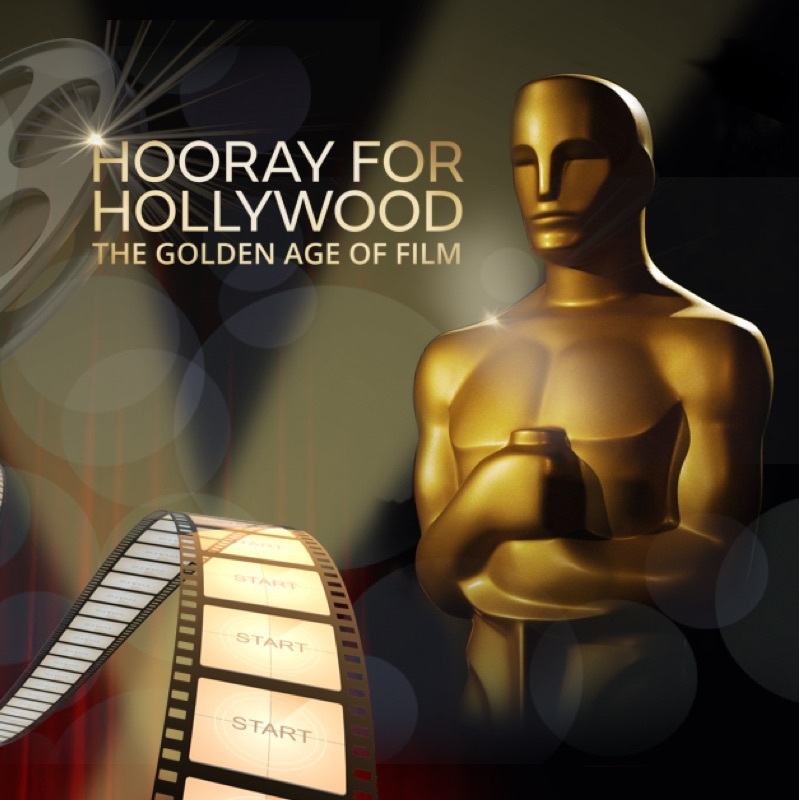 So, while we listened to the overtures for a THE OLD MAN AND THE SEA and THE HIGH AND THE MIGHTY, the two Oscars were placed in front of the conductor’s podium and were spotlighted during the performance. Such a lovely surprise! And I managed to have a few words with Mrs.Douglas at the end of the concert. She was most gracious and appreciative of my thanks for coming and bringing the priceless Oscars. 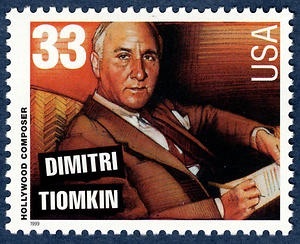 Dimitri Tiomkin (1894-1979) was one of the few composers who freelanced. For HIGH NOON, he won Oscars for Best Score and Best Song ( “Do not forsake me”, lyrics Ned Washington. 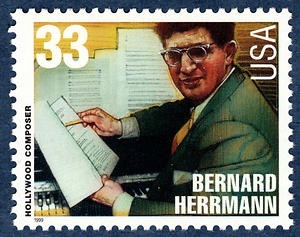 He wrote scores for SHADOW OF A DOUBT,LOST HORIZON,RED RIVER, RIO BRAVO,GUNS OF NAVARONE, among many others. 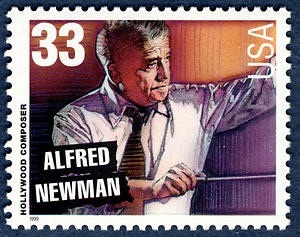 Alfred Newman (1901-1970) was Oscar nominated over 40 times and won 9 Oscars for his music scoring! He wrote the Twentieth Centuy Fox fanfare and became head of music at Fox in 1939. 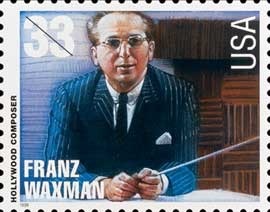 Another great composer was Franz Waxman (1906-1967) who wrote his first film score at the age of 29 for BRIDE OF FRANKENSTEIN,on the strength of which he became head of music at Universal. In 1950, Hal Wallis brought Waxman to Paramount to write the music for SUNSET BOULEVARD. 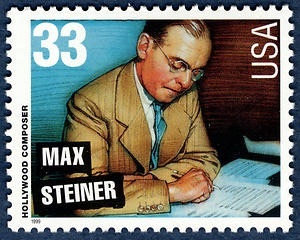 He was the only composer to win back to back Oscars – for SUNSET BOULEVARD and A PLACE IN THE SUN. Highlights of the concert for me were the sweeping themes of Captain from Castille and the exciting North By Northwest overture by Bernard Herrmann. 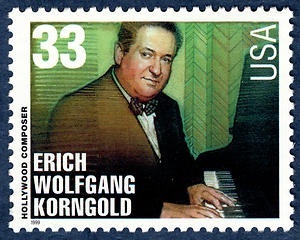 Erich Wolfgang Korngold (1897-1957) will always be remembered for his wonderful music for The Adventures of Robin Hood, for which he won an Oscar. Of all the legendary composers, Korngold, although famous for his Warner Brothers scores such as The Sea Hawk,only wrote just over 20 film scores. This concert reminded me how I sometimes take for granted the music in films, music which adds so much to the texture and feeling of a film. I have only highlighted these great composers. So much could be written about each one and their time in Hollywood. I am pleased that another treat is in store in July when the Scottish Symphony Orchestra are recording a program for BBC radio of music from Hitchcock films. My seat is already booked. That sounds like a marvelous evening in honor of the music of one of the truly great composers, and spotlighting the Oscars on the podium is a really nice touch. Getting to meet Tiomkin’s widow is rather cool. It was a great evening and such a thrill to have Mrs, Tiomkin in the audience and see those Oscars. I wish I could have interviewed Mrs Tiomkin. .
That would have been even better! Still, just getting to meet her must have been a bit of a thrill. Love the stamps. These composers were in the same class as the great classical composers of the ninetieth and early twentieth centuries; such as Tchaikovsky, Brahms, Mahler and Grieg, though maybe not in the same league as Mozart, Beethoven or Wagner. Still they were the real deal, great writers of music. Stephen, as someone not into classical music, I appreciate your comments about the calibre of these composers working in Hollywood. Many of them also wrote and conducted classical pieces. Colin, oh yes, such a thrill! Wish too i had got my camera phone out. All too exciting for me. I also recall the thrill when I saw Elmer Bernstein conduct the SNO.